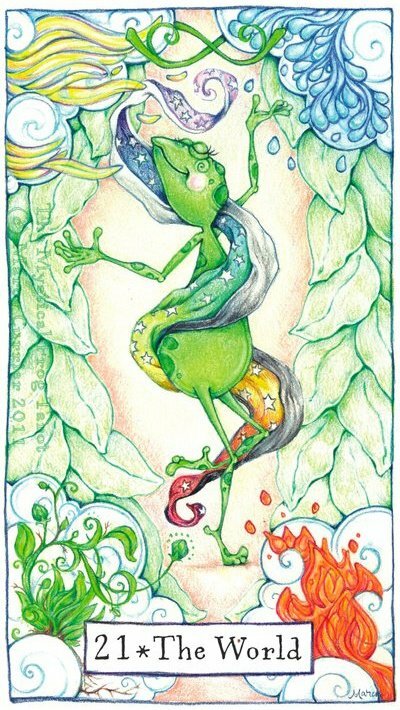 Fundraiser by Marcy Currier : Mystical Frog Tarot, final lap! Mystical Frog Tarot, final lap! It's time for me to finish the Mystical Frog Tarot. 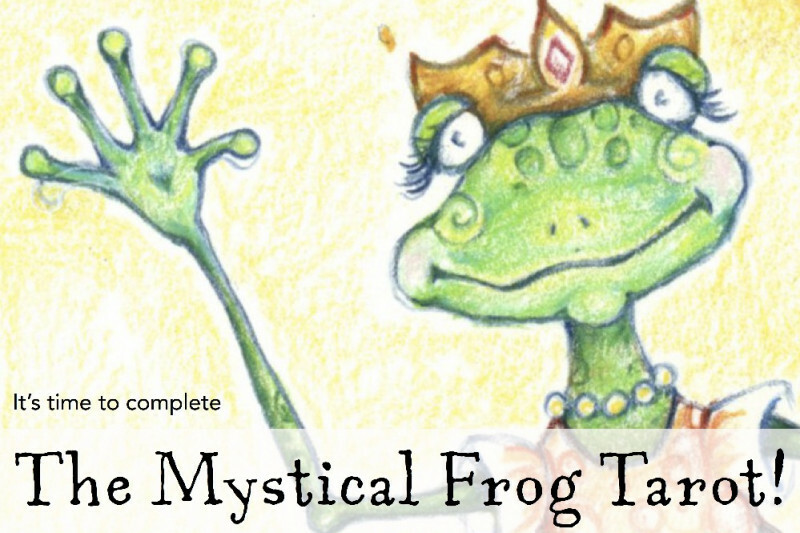 For almost a decade, I’ve been working on an original deck of Tarot cards called The Mystical Frog Tarot. This is the project of my heart, but it’s been slow going. I’ve had the wonderful responsibility of raising my amazing son and two cats. Now my boy’s gone off to college and the cats... are cats (they don't need much from me), so I finally have the opportunity to focus on getting these cards done. One thing I have learned in my many attempts to get this thing in the can, so to speak, is that the part of me that runs a business and maintains a household, is not the same part of me that draws frogs. What I’m looking for is a bit of financial assistance, so that I can spend a few months away from full-time work-brain service-mode, and spend some deep, dedicated time with my frog-self. My goal is 5,000 dollars, which I think should get me to the completion of this deck. I’m spiritually fueled up, my pencils are sharp, I've got a contract with US Games (they've been very patient), and I'm ready to get this done. Any support you can offer will be put to good use. Thanks and love you all! You can check out the frogs here, and follow my Give it 100 Challenge on Instagram . Big thanks (in the form of a digital card), a virtual hug (a real one if you're nearby), and blessings and shout outs from the Mystical Frogs. Membership in the Mystical Frog Fan Club! You'll get thanks, hugs, and frog blessings, too, of course, plus a special Mystical Frog sticker. Thanks, hugs, blessings, shout outs, fan club, sticker, AND a special edition Mystical Frog greeting card printed and mailed to you. Thanks, hugs, blessings, shout outs, fan club, 2 stickers AND a set of 4 limited edition blank-inside Mystical Frog greeting cards and envelopes, sent to you. Extra thanks, hugs, blessings, shout outs, fan club, 5 stickers, AND a quality limited edition full-color frame-worthy Mystical Frog print. 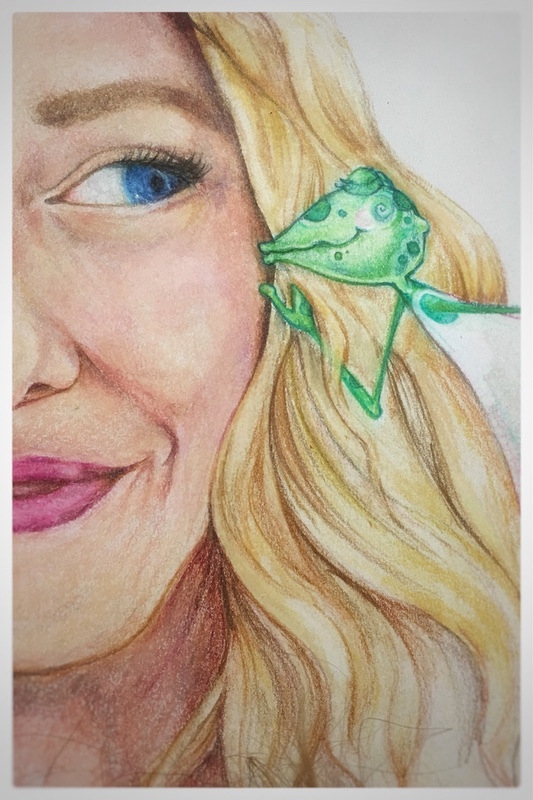 More thanks, hugs, blessings, shout outs, fan club, stickers, plus a greeting card set AND special edition print, plus a custom message from the Mystical Frogs. Thanks! Hugs! Blessings! Shout outs! Fan club! Stickers! Greeting cards! Special edition print! And a reading with the Mystical Frog Tarot deck . Oh yes. This is what we call the whole shebang. Any and all of the above rewards are yours, plus a special event in your honor. Let's talk details! You want to invest $5000 in helping me do this? Let's talk possibilities! All the thanks, all the love, all the rewards, a special event and... You tell me! Love you Marcy and LOVE the Frog! Adorable!! Can't wait to buy the finished deck!